Hugo Wolf who is naturally attracted to the gorgeous Jolly Rosa wooed her with all his devotion but Jolly Rosa wasn't an easy girl to get near to. Hugo Wolf tried his best to impress her and in the end..
Jolly Rosa was touched by Hugo Wolf's sincerity and heart of gold. Of course, its also because Hugo Wolf is a dumb cute NICI wolf plush and he's also able to put his hands in his pocket. What a compatible couple. Now they are happily together but there's only one tiny little problem..
Hugo Wolf mini is all alone by himself, he couldn't find his dream girl Jolly Rosa mini but NICI-Mania is a place full of warmth, hence some NICI plush toys came along to see how they can help the despair Hugo Wolf. 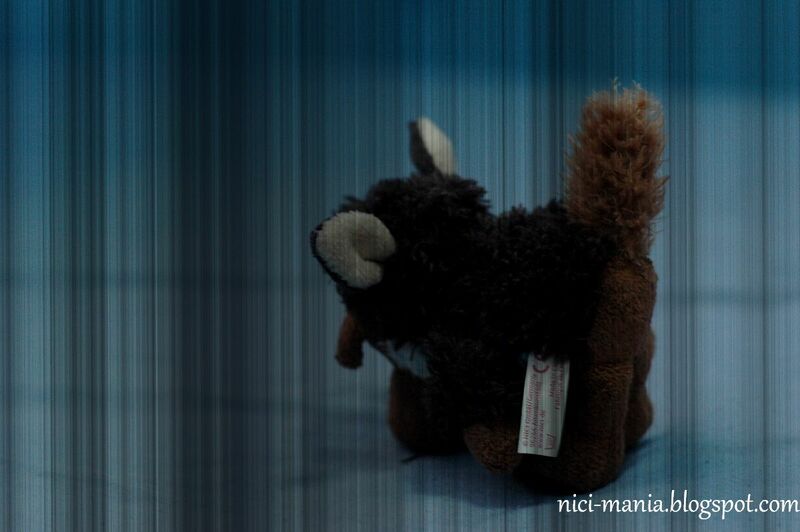 Jolly Liselle: Bonjour Hugo~ I'm different from Jolly Rosa but I am also a dark skinned sheep. Do you wanna be my l'amour? Hugo Wolf: You're too big for me..
Then came Jolly Ben: Hugo Wolf, I am mini Jolly Ben and I heard you are searching for a partner? Hugo Wolf: You're too small for me..
Hugo Wolf: I GIVE UP!! I'm never gonna meet my dream plush Jolly Rosa mini..right when Hugo Wolf was drowning in his own dismal..a miracle happened! Jolly Rosa mini is standing right in front of Hugo Wolf!! Elated by what he found, he moves towards Jolly Rosa and asked her to be his valentine. Of course it wasn't easy at first but in the end, Hugo Wolf's sincerity moved Jolly Rosa's heart after a few months of pursue..
Now they are happily together and some of our kay poh (busybody..oh well, concerned) NICI plush toys gather around to celebrate for them! What a lovely 15cm plush couple aren't they? Jolly Rosa to Hugo Wolf: Are you sure you're 15cm? You still look really small compared to me, you gotta eat more and grow taller than me okay! Yes it must be the pink flower and maybe also her side pockets that makes Jolly Rosa so special. 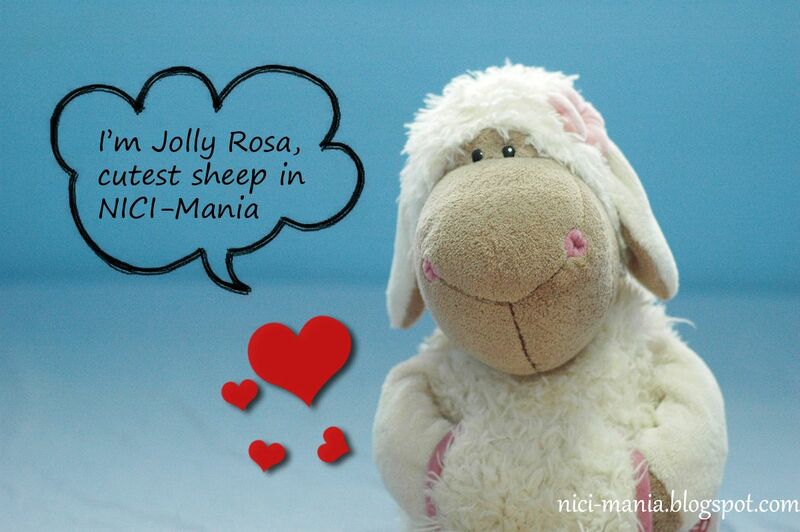 All our flock here loves Ute too, she is the most adorable Jolly Rosa we've seen! Rosas (big & mini) are so cute.. did u get mini Rosa from Metro Jakarta?